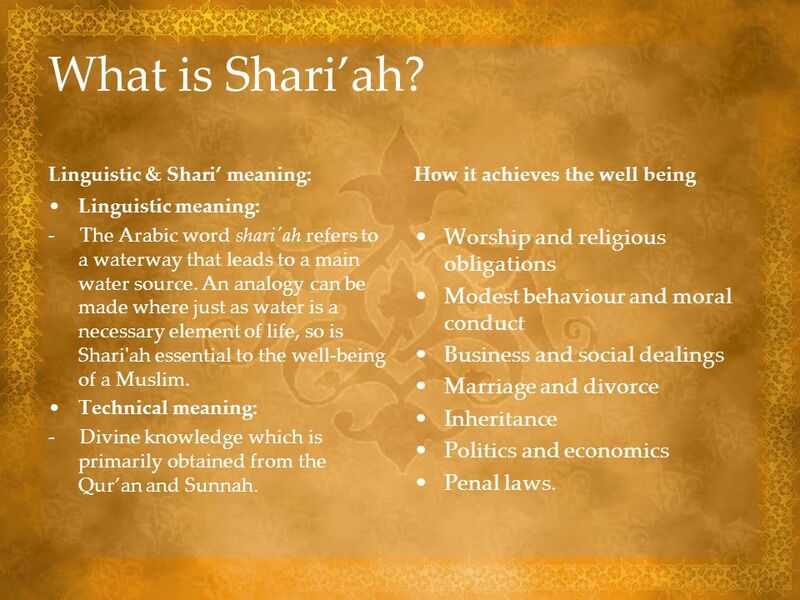 Linguistic & Shari’ meaning: How it achieves the well being Linguistic meaning: - The Arabic word shari'ah refers to a waterway that leads to a main water source. An analogy can be made where just as water is a necessary element of life, so is Shari'ah essential to the well-being of a Muslim. 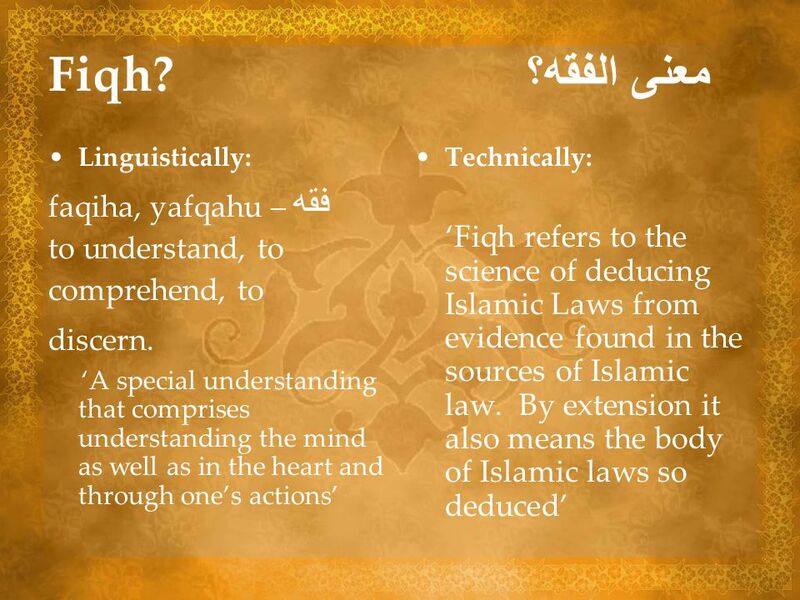 Technical meaning: - Divine knowledge which is primarily obtained from the Qur’an and Sunnah. Worship and religious obligations Modest behaviour and moral conduct Business and social dealings Marriage and divorce Inheritance Politics and economics Penal laws. 9 What is Tashri’? 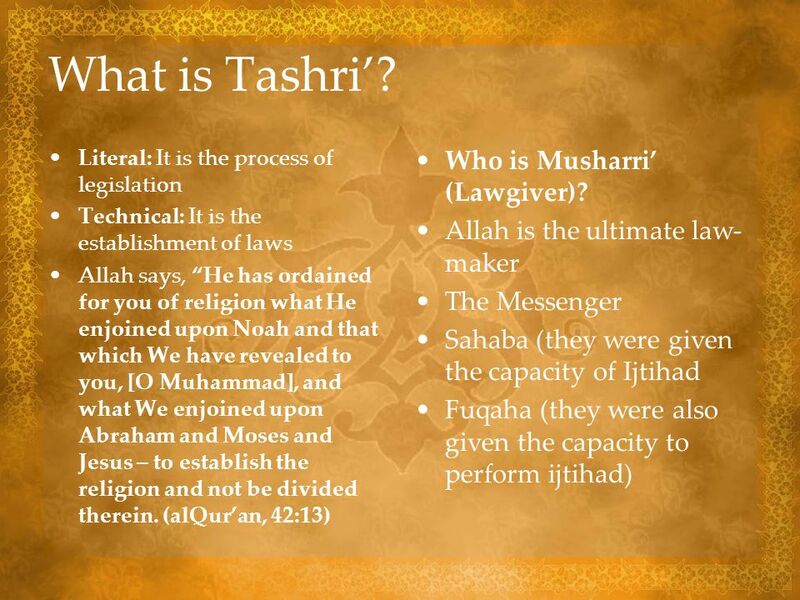 Who is Musharri’ (Lawgiver)? Narrated by Aswad Ibn Yazid: ‘Mua’dh came to us in Yemen as a teacher and commander. We asked him about a man who had died leaving (as his heirs) a daughter and a sister. He decreed half the estate for sister. 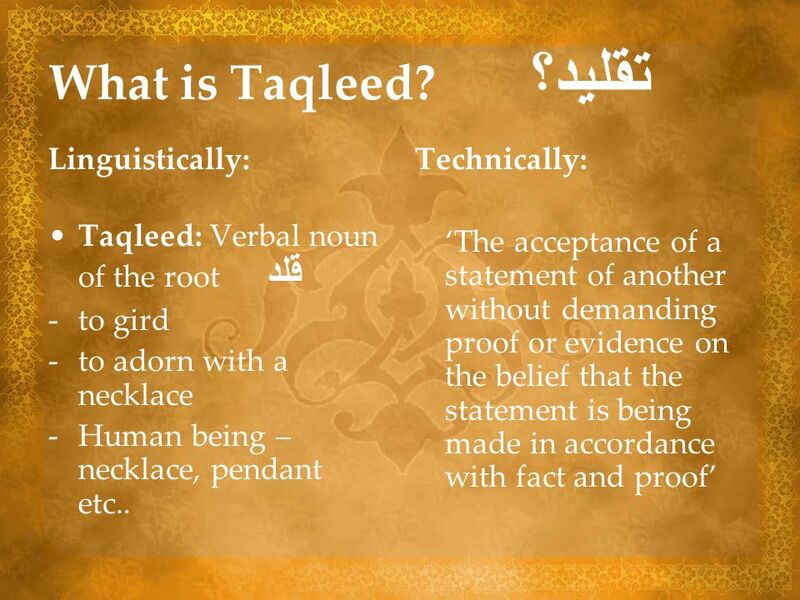 This was while Rasulullah was alive’ Two Principles from the Hadith: Taqleed in practice – the people relied on the authority, integrity and knowledge of Mua’dh – they did not ask for evidence. 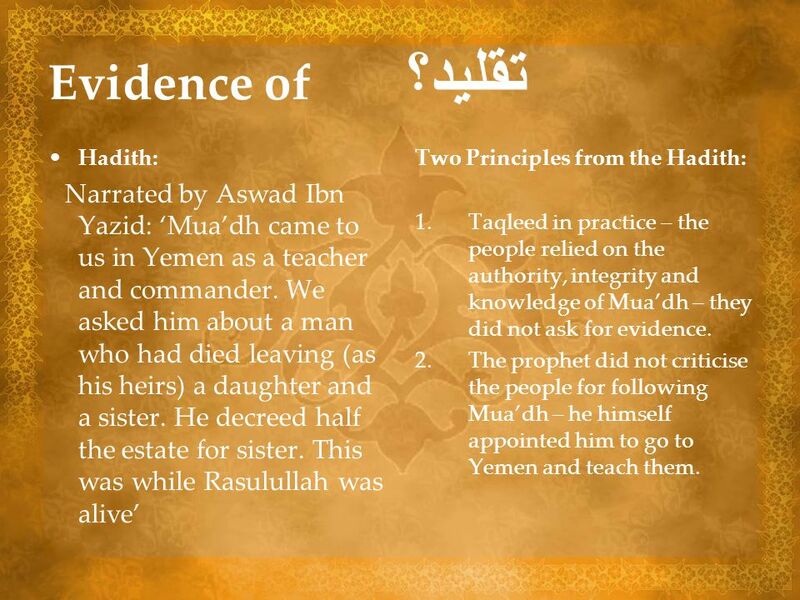 The prophet did not criticise the people for following Mua’dh – he himself appointed him to go to Yemen and teach them. 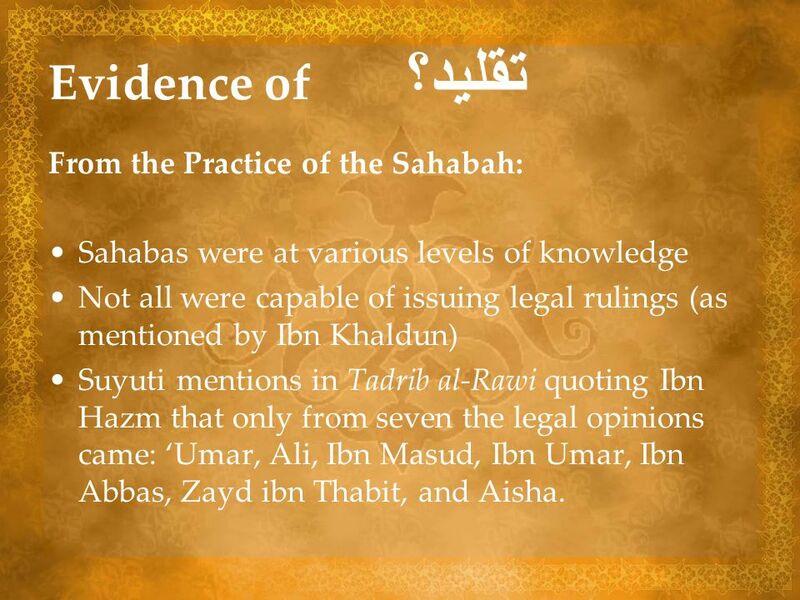 Sahabas were at various levels of knowledge Not all were capable of issuing legal rulings (as mentioned by Ibn Khaldun) Suyuti mentions in Tadrib al-Rawi quoting Ibn Hazm that only from seven the legal opinions came: ‘Umar, Ali, Ibn Masud, Ibn Umar, Ibn Abbas, Zayd ibn Thabit, and Aisha. 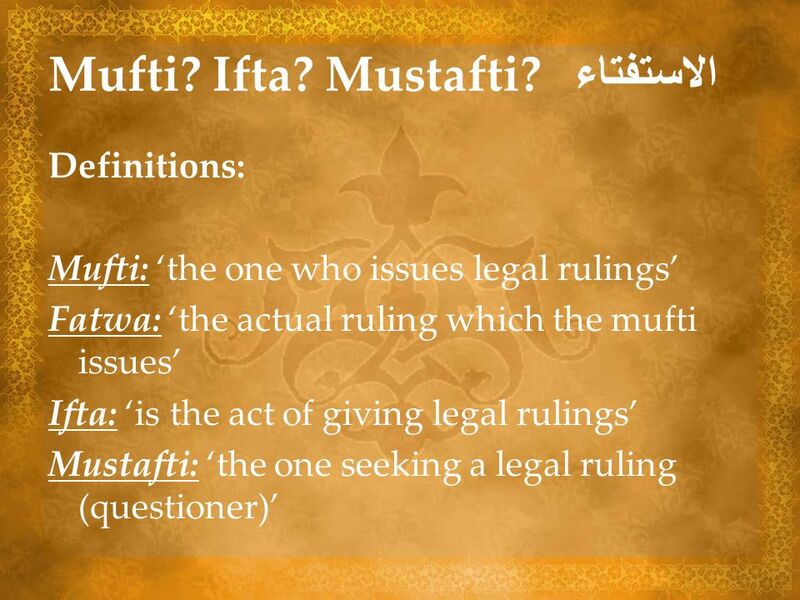 Mustafti is the one who seeks a legal ruling on a particular Islamic matter, which means that he or she is ignorant of that matter. 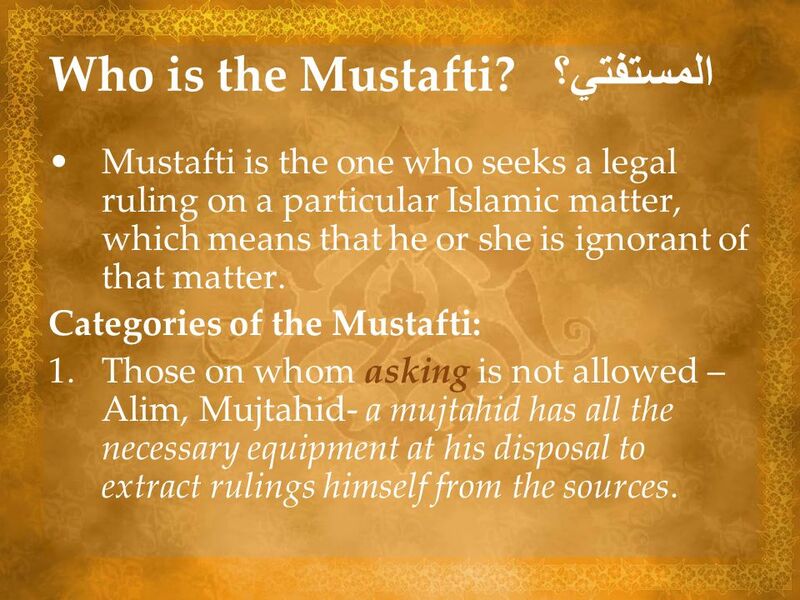 Categories of the Mustafti: Those on whom asking is not allowed – Alim, Mujtahid- a mujtahid has all the necessary equipment at his disposal to extract rulings himself from the sources. 2. 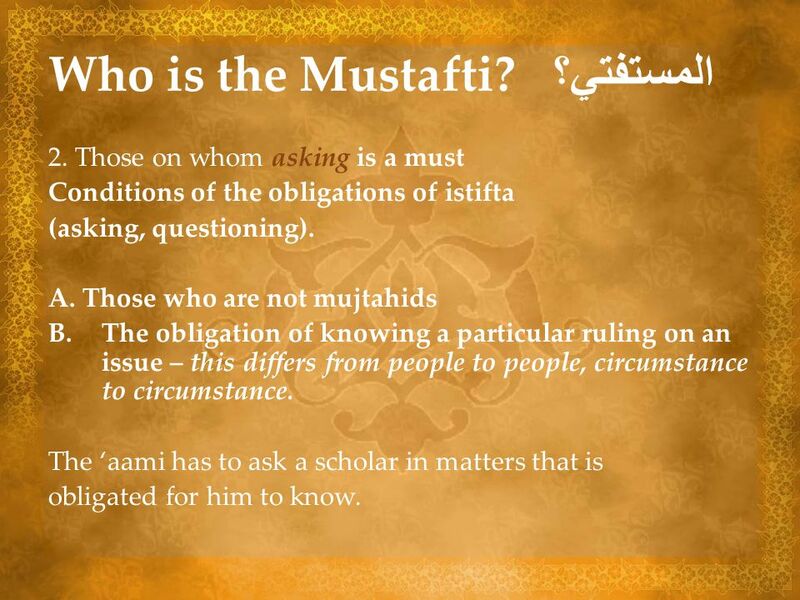 Those on whom asking is a must Conditions of the obligations of istifta (asking, questioning). A. 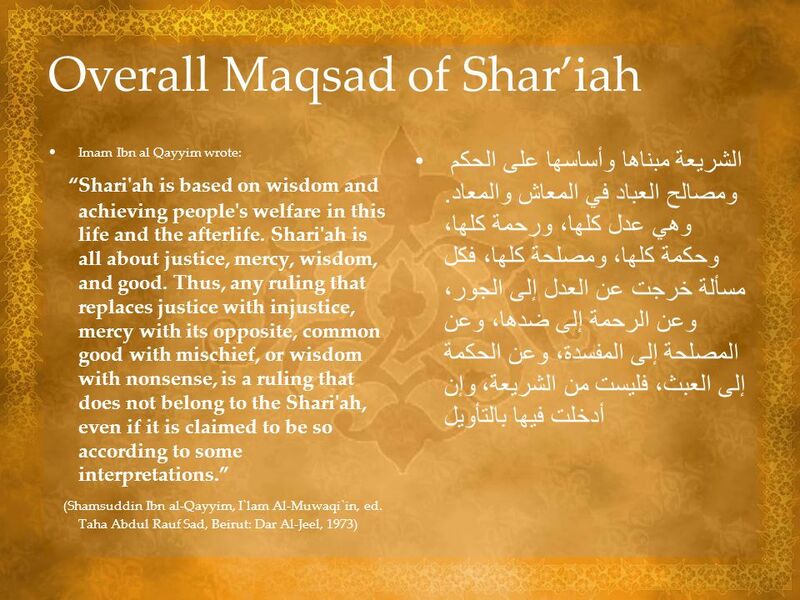 Those who are not mujtahids The obligation of knowing a particular ruling on an issue – this differs from people to people, circumstance to circumstance. 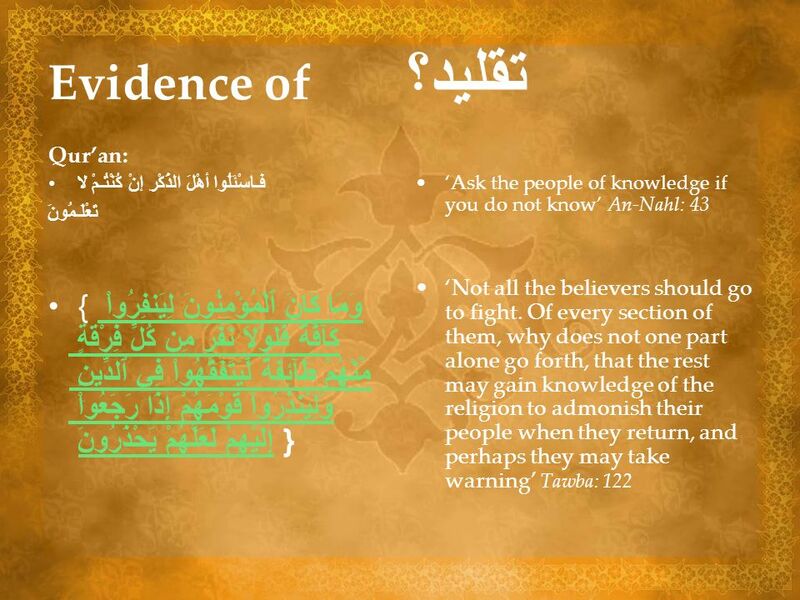 The ‘aami has to ask a scholar in matters that is obligated for him to know. 3. Those on whom asking is allowed. 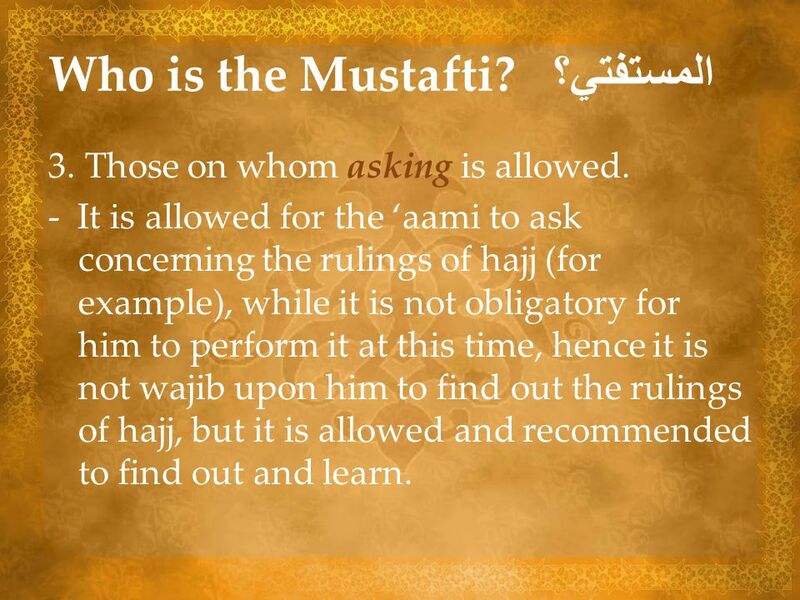 - It is allowed for the ‘aami to ask concerning the rulings of hajj (for example), while it is not obligatory for him to perform it at this time, hence it is not wajib upon him to find out the rulings of hajj, but it is allowed and recommended to find out and learn. 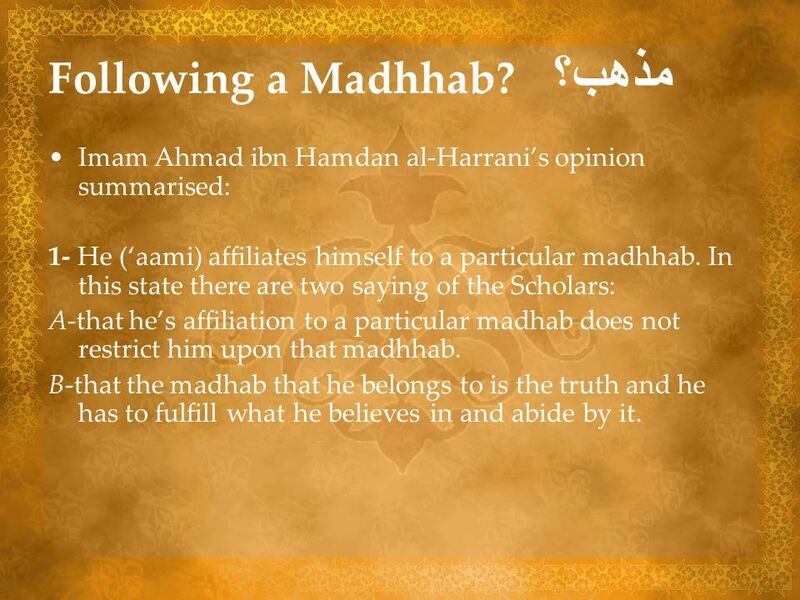 Imam Ahmad ibn Hamdan al-Harrani’s opinion summarised: 1- He (‘aami) affiliates himself to a particular madhhab. In this state there are two saying of the Scholars: A-that he’s affiliation to a particular madhab does not restrict him upon that madhhab. 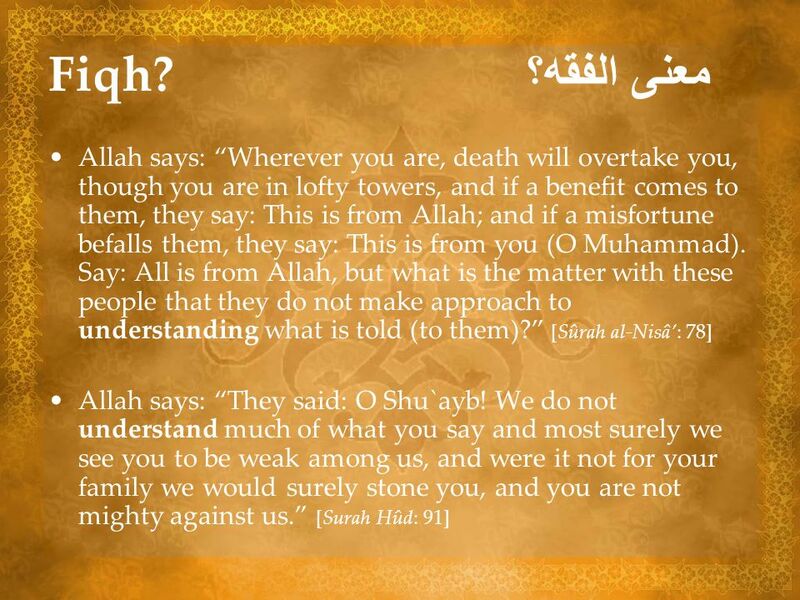 B-that the madhab that he belongs to is the truth and he has to fulfill what he believes in and abide by it. 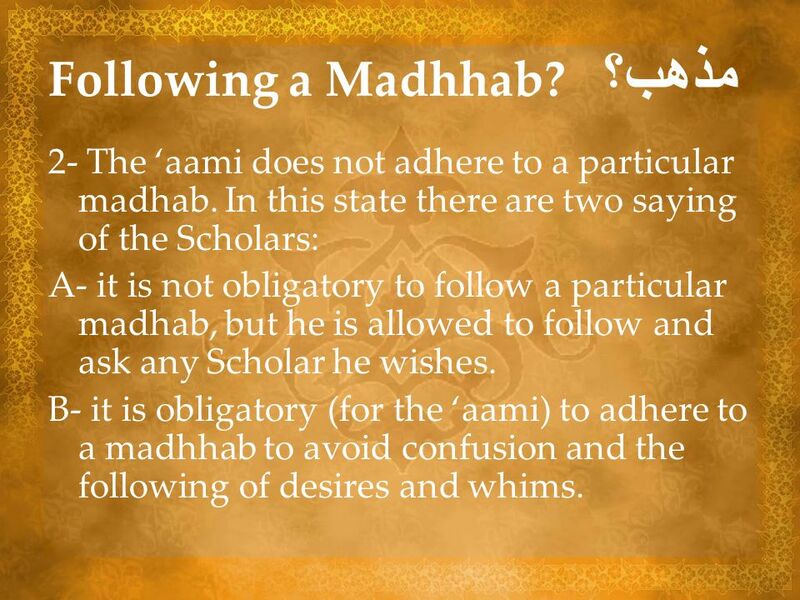 2- The ‘aami does not adhere to a particular madhab. In this state there are two saying of the Scholars: A- it is not obligatory to follow a particular madhab, but he is allowed to follow and ask any Scholar he wishes. 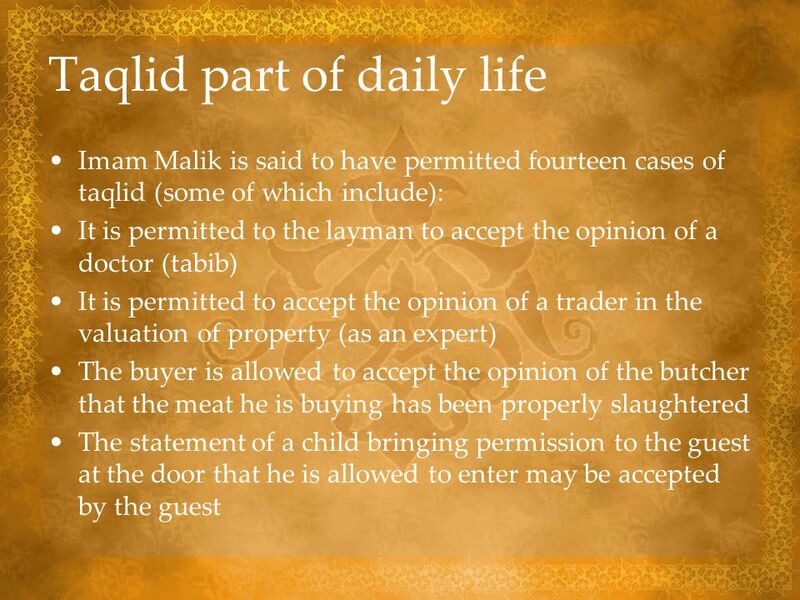 B- it is obligatory (for the ‘aami) to adhere to a madhhab to avoid confusion and the following of desires and whims. Qawl al-Rajih: A- it is obligatory upon all Muslims to know the hukm of Allah in those matters that are obligated to them. 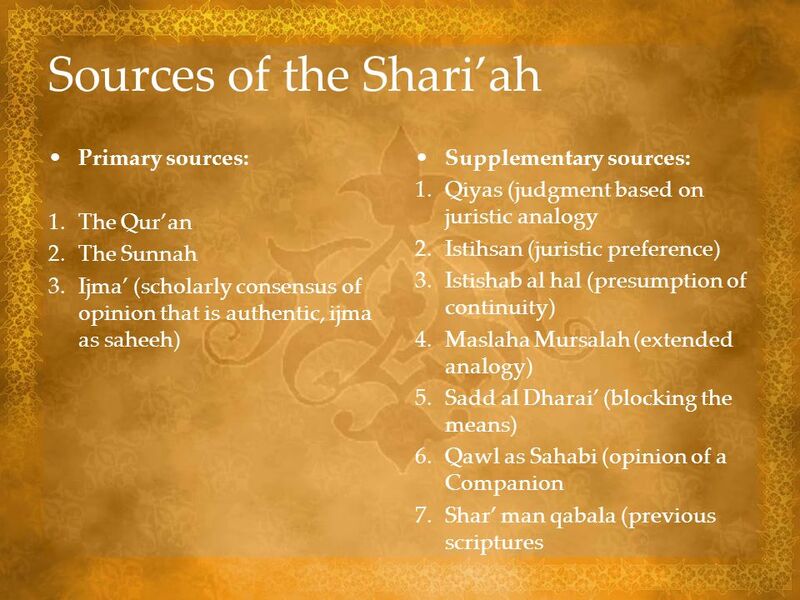 B- as long as the Muslim has the ability to do ijtihad, he has to search and investigate for the rulings from the sources. C- the Muslim who has the ability to perform ijtihad has to follow the minhaj of the mujtahideen in his research for the truth. D- if the Muslim is unable to do the aforementioned, he has to ask the people of knowledge (‘ilm) and confirm (yuqallid) to what they rule because they inform him the rulings of Allah. 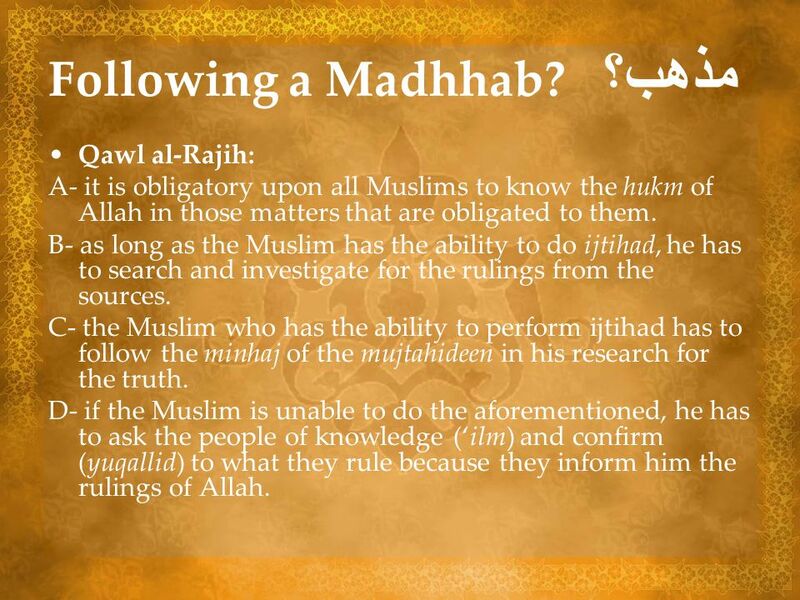 E- if the Muslim is unable to perform ijtihad, he has to seek assistance from the authentic and trustworthy books of Scholars, such as the books of the madhaib. F- when the Muslim studies from these madhabs and affiliates himself to one of them; he is called a Hanafi, Shafi’, Maliki, or Hanbali. 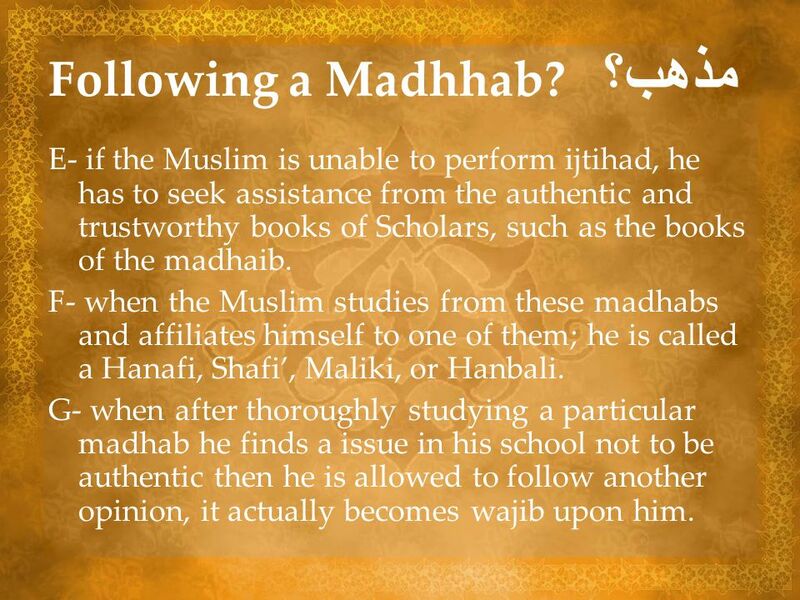 G- when after thoroughly studying a particular madhab he finds a issue in his school not to be authentic then he is allowed to follow another opinion, it actually becomes wajib upon him. 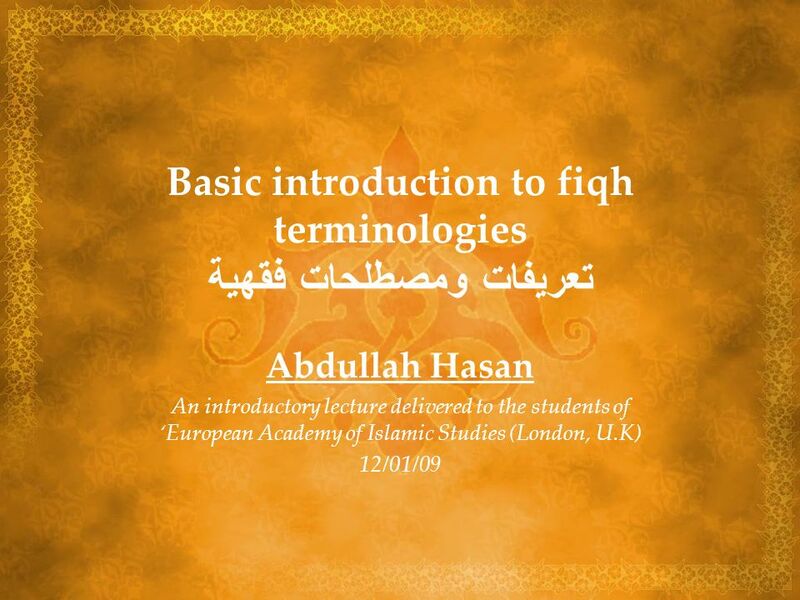 Download ppt "Basic introduction to fiqh terminologies تعريفات ومصطلحات فقهية"
Sunni vs. Shi’ah Muslim Division. SLIDES file # 2 Course No: ISL 110 Course Title: Islamic Culture Instructor: Sir David Ochieng Chapter 1 :Sources of Islamic Legislation. D.N.R. Islamic Perspective Javeed Akhter MD Director Pediatric Pulmonology, Advocate/hope Children ’ s Hospital Back to ISPI. 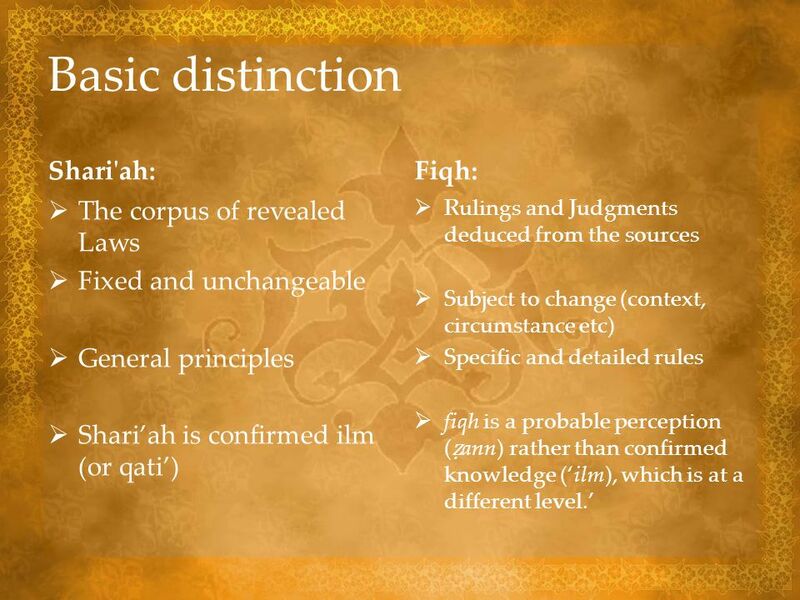 Major legal systems Islamic law. Islam, Women, and Gender Justice. Different Definitions of Justice Render unto each his/her due (Aristotle) Render unto each his/her due (Aristotle) Moral. Islam, Women, and Gender Justice. Argument The Quran and basic principles of Islam support gender justice The Quran and basic principles of Islam support. Classical Theory of War Battle of Yarmouk (636) Early Islamic expansion. 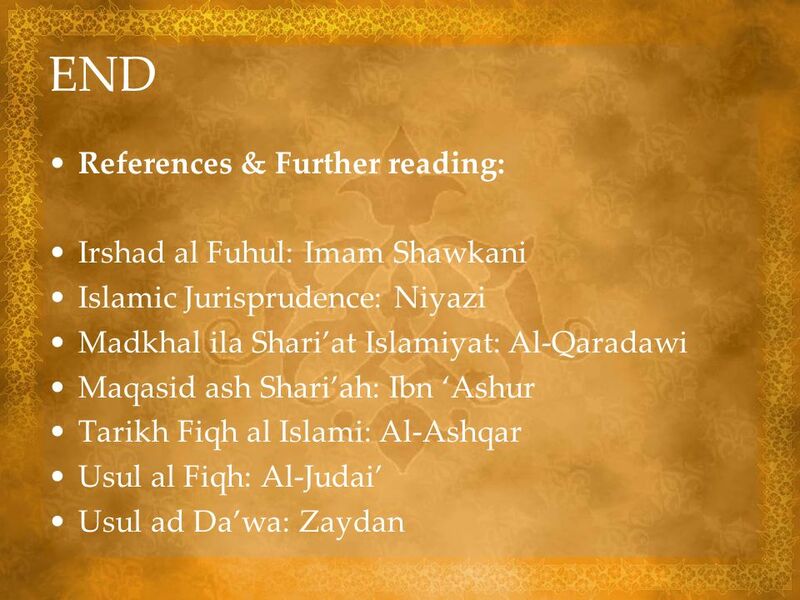 Aspects of IslamDr. : Mohammed Ramadan1 TREE OF RELIGION ROOTS OF RELIGION BRANCHES OF RELIGION. Islam: Law. 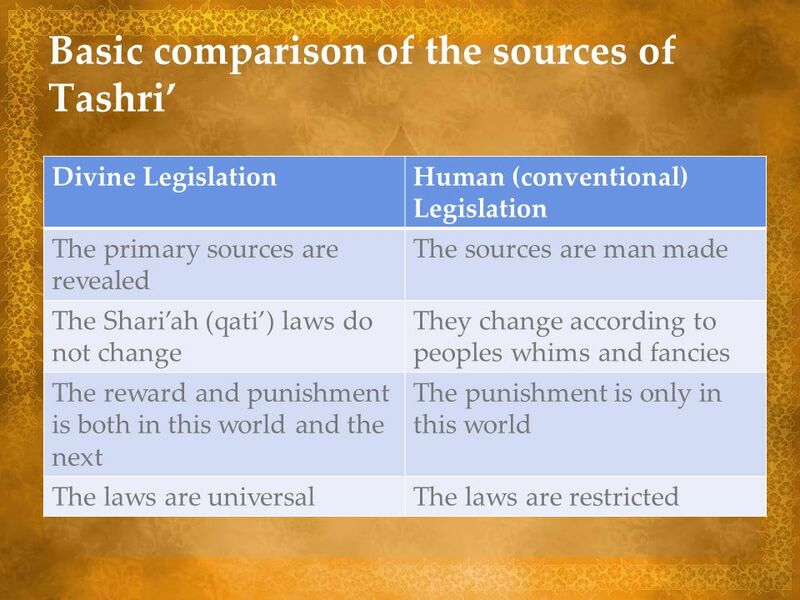 Introduction Shari’ah Law  Islamic law derived from the Quran and Hadith and applied to the public and private lives of Muslims within Islamic. 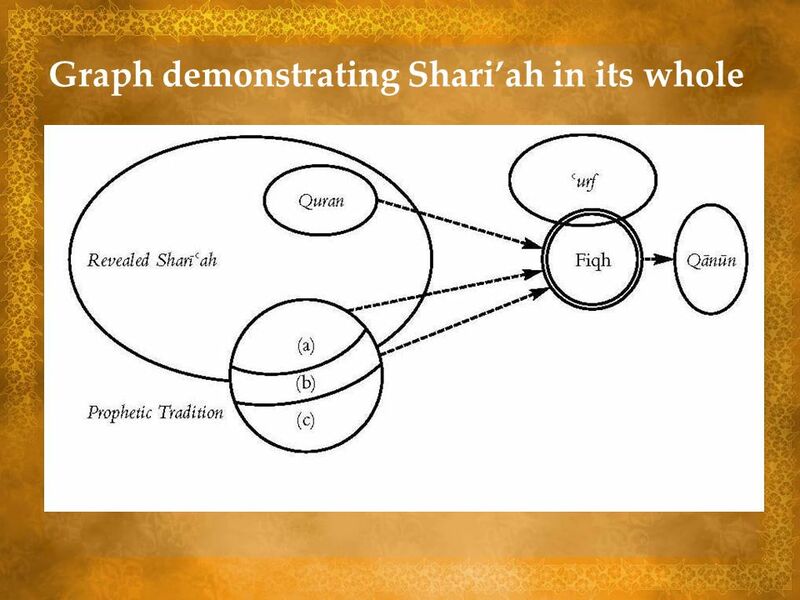 1 Fiqh Foundations for Islamic Economics DL Lecture 18-10-2011.